Work's pretty lax right now mostly because I'm still on the onboarding stage. You know, familiarizing myself with the tools, the people, the building aaaargh. It's a freaking maze here. The tools... they're so friggin many. Like they have three external tools integrated to MS Outlook (more, if I ask) and they've got loads of 3rd party applications in use. Hopefully will get used to it in the following months! My other work, on the other hand IS DRIVING ME NUTS. I promised to deliver 3 articles this weekend but aaaargh I was only able to get 2 done. I was supposed to finish that set then request for a leave (naks may leave ako HAHA) for around a month until we relocate to our new house which is nearer the office. But I don't know! They just dumped 4 more topics to me HUHU HOW DO I LIVE. My other other work, IS ALSO GETTING CRAZY. I have 2 sets of invites to deliver this month. Oh well. Will stop accepting design gigs in the meantime 'cos this girl is frkn busy. Grr. I have so many stories to tell, and there were a lot of times I wanted to write about something immediately but can't because I'm too busy. Now things have piled up and I don't know where to start haha. Okay, so let's do it chronologically! I started with my new job last week (August 22). The first four days is dedicated to onboarding us. We learned a lot about White & Case, its founders, the history, vision and mission, the executive committee members, blah, blah, blah. To be honest I've never attended an onboarding this in-depth. Everyday we do a recap of all the concepts. We do quizzes, we recite, etc. Very classroom like. Can't say I hated it. As part of our initiation (as I'd like to call it) to the company, they made us complete this signature sheet and human bingo card where we had to hunt for people and get their signatures. It wasn't supposed to be competitive but there's a consequence for losing so might as well put some energy into it. Argh. True to their values, the entire week was indeed very engaging. I met a lot of people and gained new friends. My introverted self was challenged to the core and eventually has gotten used to the cringing sensation of shaking hands and introducing myself. What have you, even public speaking didn't taunt me that much. Noice. I remember being scared of leaving Pointwest because for three years I'm only 30 minutes away from work, and I don't think I'm ready to journey back to Ayala every freaking day. But thank God my schedule is midshift so I wasn't too worried about getting caught in traffic. The only problem is going home! Even though the ride home is a breeze (Ayala to Fairview in 45 minutes can you believe it), it's already too late and too dark and I have to cross the super well lit overpass at FCM (note sarcasm) pa to reach home. So I tried bringing the car to work, not really to Ayala but I found a flat-rate parking area at Centris Quezon Avenue so the plan is to leave the car there and commute to work, then go back for it after my shift. I was happy at the thought of not crossing the overpass anymore. But well, two days into it an I got into a road accident! My poor Vios getting used to my incompetent driving. Can't dive into the details but in summary: I hit (was hit by) a jeepney while turning to Quezon Avenue. Thank God I was not alone. I was with three of my officemates and they're all such great moral support. As in, just the fact that someone's there with you makes a lot of difference. One of them called the MMDA to check so in a few minutes we got authorities at the incident. We went to the police station and filed a police report, and because me and the jeepney driver is accusing each other and there's no concrete evidence, we have to elevate things to the court. OMG. Thank God I have insurance so I can leave the dirty work to them. - In case of a traffic accident. DO NOT MOVE YOUR CAR until you've taken pictures and videos of the situation. Get out and record the scene, you need to get an angle of the road, where you are, where the other car is, your surroundings, the damage, and even the signages around. Who knows if the jeepney was entering private lane? Or you are crossing theirs? - If you can help it... JUST LEAVE YOUR VEHICLE AS IS until the first responders arrive. Don't let anyone move their car without agreeing to certain terms. If they move, they're guilty. Char. If the scene remains untouched, the MMDA can sketch the incident and decide who's at fault. If you're causing traffic, make sure you've taken enough pictures before moving your car out of the way. - SAVE MMDA HOTLINE - 136. Have extra load with you because it's not free to call. GRR. - If you must really take matters to the precinct, ask the MMDA officer which Police Station covers the place of accident. In our case, Centris is covered by some police station at Project 8. We were escorted to the place and filed an incident report there. - My load didn't expire until I got home, whew. I was able to call my dad for help but since he's with my mom at the hospital, he called my uncle to back me up. - My uncle followed me to the precinct. So overall I wasn't too fazed by the situation hahaha. - My dad is very very calm. Every time I get into accidents like this, he always makes sure I learn something from it first before telling me what my faults are. To be honest I wasn't too emotional about leaving Pointwest. Not until my onsite teammates started sending me well wishes that I realized, man I love my team! I wanted to send a goodbye email but I didn't know how to start. In my awkwardness I even had to Google "How to send goodbye email at work" HAHA and mind you, they were really helpful. I'll probably get to it this week, before they kill off my access. 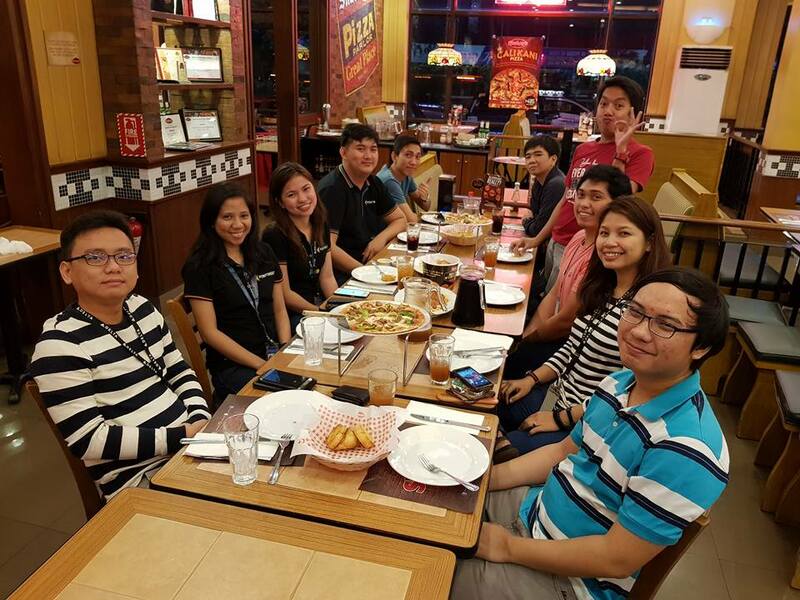 We had a subteam lunch (which is midnight) at Shakeys Katipunan and a team breakfast at Ral's Technohub so you could imagine how terribly full I was the entire day. You know how toxic Saturdays are for night owls like me. It means forcing my body to be awake for 12 hours more because I have things to do. Actually we only had one thing set that day, which was the last leg of our pre-marriage counseling with Paris (our officiating pastor). After our session we ate lunch at RUB Ribs & BBQ at Sct. Rallos where I excitedly ordered a burrito bowl which disappointed me because it has no trace of Mexican in it. Anyway, I guess our last session dissuaded us from having kids early in our married life HAHAHA. Rightly so 'cos we don't really have plans of having a baby yet. Blog, don't jinx this. Got home soooo tired. Slept 14 hours total. Sarap. And I thought I was gonna feel rejuvenated after a long long sleep but no. My parents used the car so I had to commute to church. Then I got my period. My mood swung and I can't pick a dress to wear. And then, I can't book an Uber 'cos my phone is acting up. I was literally crying at my first world problems. But everything eventually leveled down. We ate lunch at Shang Plaza where we finally saw their new tiles HAHA. It's been a while since we last went there and every time we do, there would always be men working on the floor, breaking the tiles. God knows how long it took them to replace everything. Anyway, congrats lol. Also, I bought a bunch of cold-pressed juices from Pure Nectar by Fruit Magic to see if I could do juicing again. I don't like the taste to be honest. I don't think I liked any of the juices that much. They were bordering on spoiling already, so much for the expiry date that's a week from now. Urgh. But what have you, I ordered again for day 2, and 3. Hm. Ang yaman ko. Jeckie took a leave from work cos we had to apply for marriage license. Sobrang haggard ng araw na to jusko. I thought I'd have time to go to my RDO branch to have my 1905 stamped but noooo. First thing we did was get our cedula at UP Village. No lines and super cool aircon, love it. Then we went to the city hall to apply for marriage license at the Civil Registry. Then back to Jeckie's to rest and wait for 1pm for the Family Planning seminar. Then it rained so hard while we're about to go to the Health Department huhu so much hassle getting a taxi! Arggghhh. Anyway. I learned a lot that day. I learned that pills, injectables, and implants are all hormones that make you have regla so you can't bear a child. Other family planning methods discussed were ligation - which I don't care about... and IUD -- which was interesting! Not because I'm considering it but because it's very enlightening to learn about how it works based on the female anatomy of the ovaries. It's like, okay, the goal is to not get pregnant. What can we do? The egg cell should not reach the uterus: Okay let's cut the tubes (ligation), or block the passageway (IUD). But that's too invasive! Fine, let's give you hormones so your egg cell falls off and dies when you're ovulating. So cool that there are so many ways to work on a problem and all solutions are valid haha. Okay after that enlightening yet tiresome seminar, we went home to change and rest a while before we head to our final agenda. The lobby that smells like pancakes. Or biscuits. Whatever. We're moving to Flair Towers after the wedding. By God, with our current status I think we may be stretching our living standards a bit but myyyy the place is beautiful. I haven't checked the other condos around but I want to vouch it's the prettiest among its neighboring condos haha. We paid the reservation fee, signed the contract, and heaved a great sigh as we realized that this is it... we're living together soon in this nice building that's next to Rebisco so you could imagine the smell everyday. ARGH IT SMELLS LIKE PANCAKES IN THE LOBBY, WHY. I left Makati around 6pm and rode the P2P bus because I was so tired and I wanted to sleep. But what have you: rush hour, payday, and the horrific accident at Mindanao Ave involving a cement mixer and a car - made our travel from Glorietta to Trinoma a ridiculous 2 and a half hours. I've completed an entire sleep cycle and we haven't even passed Boni. I can't. I was mentally crying at all this. Side note, back at White and Case I learned that there was only one slot for the position I applied for and HUHU I can't believe I got it. Pressure. That is what you are. Hope you had a restful day! Wait, I have to sleep pala loool. Our invites are ready for distribution! Actually they've been ready for a couple of weeks now haha. Big labor of love for the design and DIY kraft envelopes. Please remind me to blog about all my wedding DIYs. So far we've made envelopes, boutonnieres, and flower balls for our flower girls. SO MUCH WORK. Today was cool. Met up with a couple of my college friends to hand out their invites. Ate a lot of pizza too. My weight loss journey is totally failing. I'm back to 150lbs after being 147lbs consistently for a couple of weeks. I blame Potato Corner. Now I'm thinking of doing a juice cleanse a week before our prenup, which is next week. HAHA Wish me luck. I'm eyeing Pure Nectar by Fruit Magic because it's nearest hehe. We Filipinos are known to be very hard-working and family-oriented. 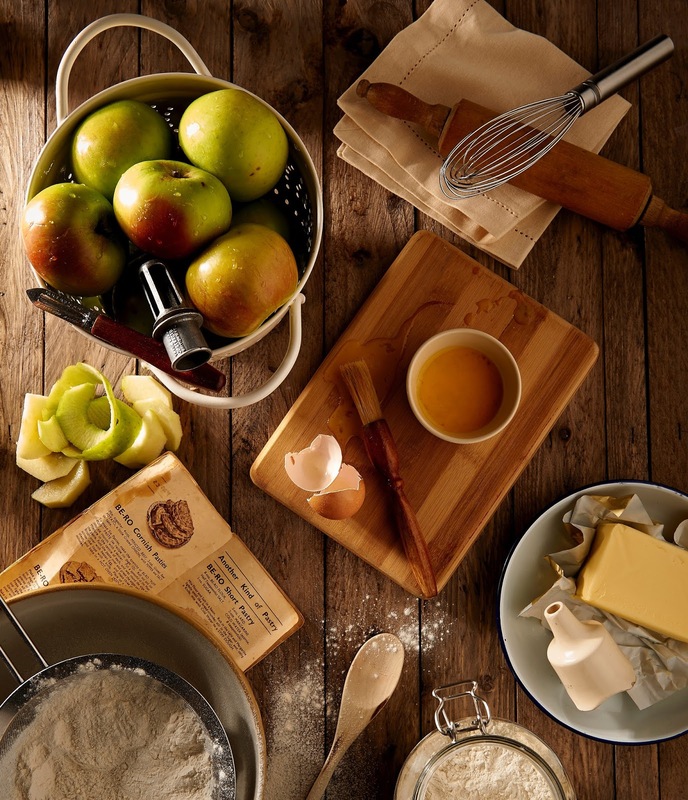 Providing for our loved ones and making them happy is our number one priority. Every day we go out to work no matter what, not minding the weather and bearing everything possible just to put food on our tables day after day, without fail. But what if all our efforts take a toll on our health? What if you suddenly feel weak, depressed and tired all the time? 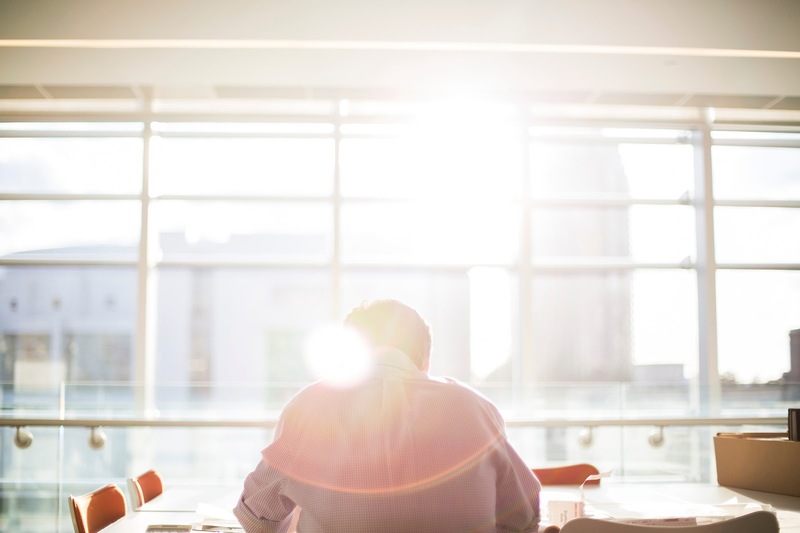 You may not know it if but you may be suffering from Vitamin D deficiency. Vitamin D is a key chemical our body needs to be able to perform every day tasks without feeling burned out. A lot of our organs are regulated by Vitamin D, including our heart, lungs, brain, and bones. Low levels of it are linked to chronic diseases like cancer, diabetes, osteoporosis, and heart diseases. Our bodies are naturally capable of producing it from sunlight, but in this day an age where we avoid the sun like the plague, how do we cope? Forti-D is a supplement that grants us our daily dose of Vitamin D which is 800 IU. It comes in a gel capsule form that's guaranteed easy to swallow and is very affordable at only ₱6.50 per capsule. If you care for your family, you should also care for yourself. Start serious protection today with Forti-D. Here are common symptoms of Vitamin D deficiency that often gets overlooked. According to a study conducted by Hi-Precision Diagnostics, 7 out of 10 Filipinos are Vitamin D deficient. If you're suffering from any of these, take a step back and evaluate your Vitamin D intake. Getting plenty of sleep but still waking up feeling exhausted? This may be caused by low levels of Vitamin D.
Vitamin D receptors are present in many areas of the brain, including those linked with depression. Overall physical performance is affected by Vitamin D deficiency. It's linked to increased inflammation, making you feel overly exhausted even with just a light amount of workout. There's a measurable improvement in sleep quality with regular Vitamin D supplementation. Having trouble getting sleep at night may be caused by low levels of Vitamin D.
With a poor immune system, you'll easily catch whatever is prevalent at the moment. Colds, viruses, flu - if you seem to be getting frequent bouts of these common illnesses, it's time to fortify your body with Vitamin D. Not because it's widespread means it's normal to catch it too. Protect you and your family from Vitamin D deficiency. Poor health is a magnet to dreadful diseases and your family needs serious protection from these harmful elements. Because of indoor lifestyle, ageing, and our constant hiding from the sun (sunscreen, umbrellas, etc. ), it's hard to get enough Vitamin D from sunlight these days. If you equate the required daily dose of Vitamin D to food, you'd need to eat 40 eggs / 8 glasses of milk / 800g of Salmon / 2 cans of tuna flakes EVERY DAY. Proper supplementation is your best bet. A capsule of Forti-D is all you need to get equipped with the recommended amount of Vitamin D in your body, keeping your vital organs functioning healthily. 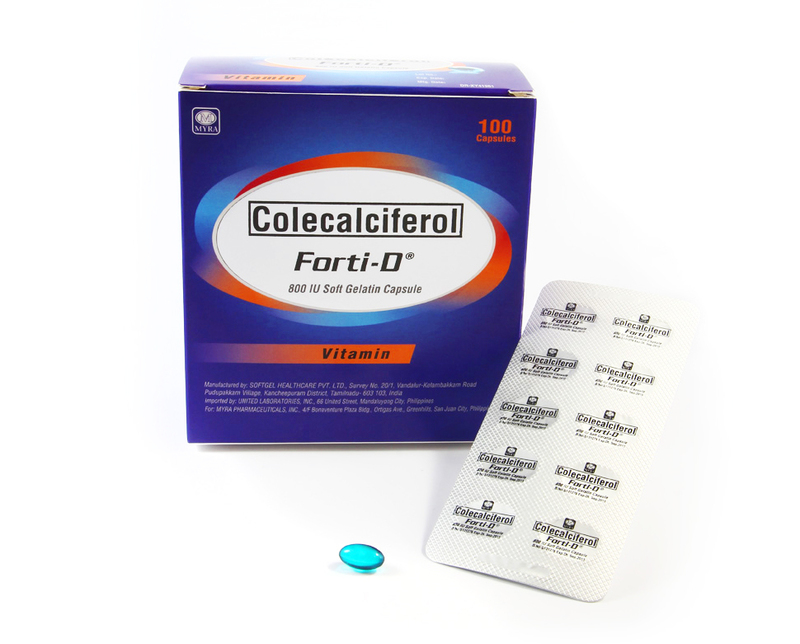 Forti-D (Colecalciferol 800IU Vitamin D3) is a product of Unilab and is available in all leading drugstores nationwide at only ₱6.50 per capsule. I've wanted to update my layout for sooooo long but I just don't have the time recently (excuses). It's impossible for me to get a new theme because this one I have right now has been customized too much, way too much it's hard to bring all those changes to a new template. Argh. So there, after the font change (from Montserrat x Crimson Text to Playfair Display x Lora), I finally found a way to rearrange my posts. At the surface, it's really just the layout that's changed. Featured image on the left, post summary on the right. THAT'S IT. But do you know how much effort that took me and my puny brain? First, I have to float certain elements to the left or to the right, add some margins, adjust some paddings, blah. Easy peasy, they're all just CSS. Next, I have to set a default photo for posts that have no pictures in them (aka. my daily dramas). Otherwise the left part of the post excerpt is going to be empty. I thought I could just expand the snippet to 100% if there's no image but it looks unbalanced and ugly. And since that solution also entails some code-digging, I'd rather work on something that's tedious but pretty. That is, looking for a way to set a default thumbnail for pure text posts. And I did. I found a solution over heeere. I had to study where to insert the code correctly, but when it worked, all that's left is polishing. When the code finally worked -- ok let's not insult developers. When the markup finally worked. I had to test for responsiveness. So that's another level of adjustments, mostly paddings, margins, media size behaviors. Urgh. And we're done. But yeah, let's leave it for later.